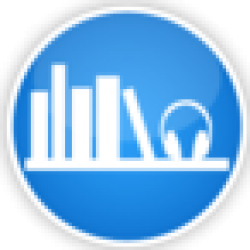 ABR's full Atlas audiobook review and many others can be found at Audiobook Reviewer. If you like military novels set in the future, you will likely be drawn to Atlas. More than half of the book is spent showing the intense military training of the main character, first through basic, then Special Forces. Along the way he stays with his friends and a girlfriend he met in basic training. The world is set 2500 years in the future, with the earth divided into two halves, one side rich and lazy and the other poor and violent. Most of the military is conscripted from illegal immigrants breaking into the rich size. Wars are not fought on earth, but in proxy wars in space between those with epicanthic folds and those without (Asians vs. Westerners). There is nothing very new about the idea of this book and story line is pretty basic and predicable. Much of the grueling military training is entertaining, but the listener wonders why they do so much cold water training if they are fighting in space. The writer also seems to lack imagination with regard to the weapons of the future, basic 20th Century machine guns and rocket launchers. When the main character gets in trouble during a battle, he takes morphine for the pain, making him drowsy enough to fall asleep, but later gets most of his intestines replaced by a 3-D printer. These odd lapses will be frustrating for hard Sci-Fi fans. Rhett Price narrates the story with his deep rumbling baritone. His voice is interesting and appealing, but his delivery leaves a lot to be desired. Price often reads dialogue very slowly making the characters sound stupid and his accents are awful; the friend from Mexico sounds like he’s a Spanish speaking Nigerian. Much of this might be forgiven or overlooked, but the constant fumbling and mispronunciation of common words is cringe worthy. 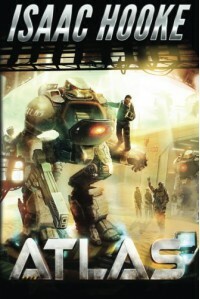 Atlas has potential for its action and space military theme but trips over itself from a limited imagination of the future and flat characters. If this is your favorite Sci-Fi genre, give a try, going in with an open mind. Hard Sci-Fi fans should probably look elsewhere.